Those are really amazing insignia you all have!! Do the colors represent speciality? I know that Regal Uniforma Collector hasn't posted on this thread for nearly 5 and 1/2 years but is there anyone that can contact him and tell him that his thread is alive and would really like his comments and knowledge? I would also like to know if his "303" board has a reverse with numbers on it. What does he think it was for? I believe that they flipped over their reversible boards when they were on the frontlines to be less conspicuous and used the colorful blue side when on leave or parade grounds. Maybe Regal Uniforma Collector knows where some of these units were posted. I would love to know where "299" was operating. I have cause to believe it was somewhere along the A-H front. Red and blue are both for the Infantry. 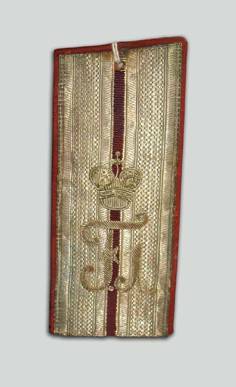 If I remember corectly, red for 1st and 3rd Regiment within a Brigade and blue for 2nd and 4th. So…my blue Pogoni with “299” and RUC’s “303” would be Line Infantry -2nd Brigade. 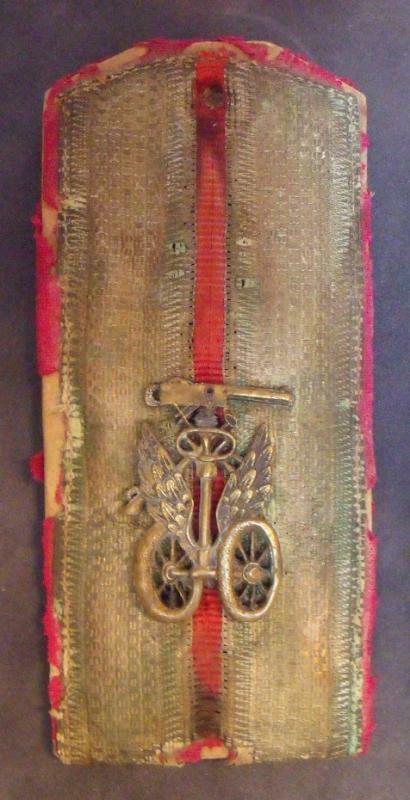 The reversible pattern was also mentioned in a separate area on uniforms changes on or thereabouts the Crimea war when the range of weapons increased and brightly colored Pogoni (along with white uniforms) were too conspicuous for the modern battlefield. This would lend to my earlier assumption that the Pogoni’s field-gray side was used in forward areas. The colored side for non-combat areas. Sajkaca: Great looking boards... please post some more. 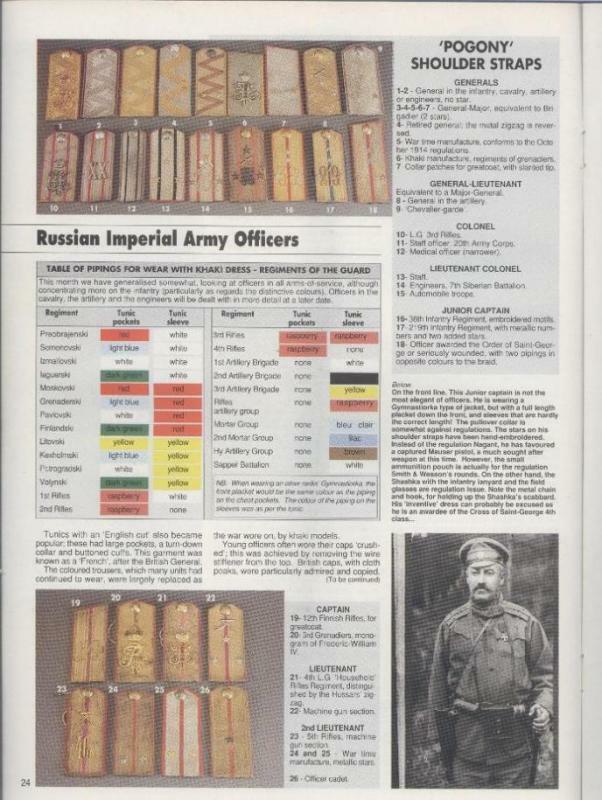 Oko, Mollo book is fine, but here is more serious refference on Russian pogoni by another world expert Gerard Gorokhoff, printed in one of few English edittions of the excellent French Militaria magazine, published in 1996. I am limited to 150K for pics, so it can not be better that this. A bit of a delay in response here, but these look great. A lot nicer than the Mollo illustrations. Are there any more photos/pages from that publication Sajkaca? The rest of both articles is on other elements of the uniform, not on the shoulder boards in particular. 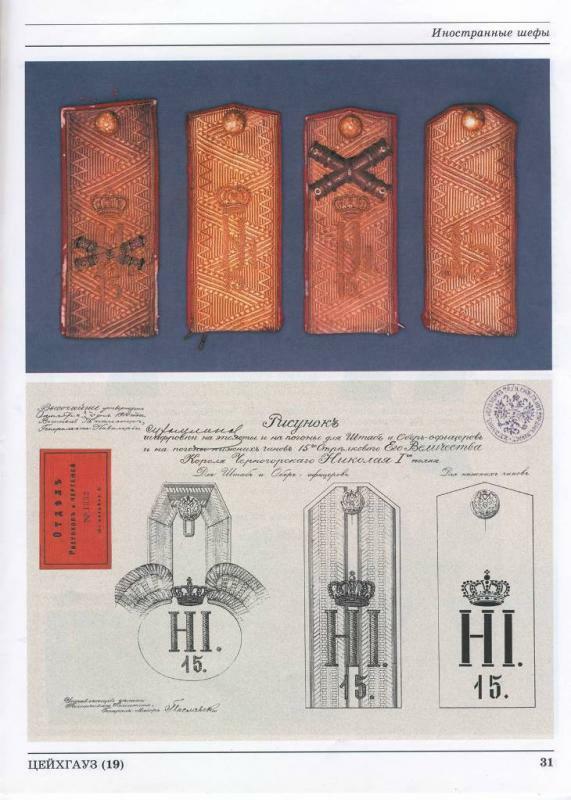 However, there are some Russian books (in Russian of course) with very detailed schemes (no pictures) about gold/silver lace VS particular colour or facings/pipings. This time I am enclosing one page from my article published long time ago in great Russian magazine called Zeughaus. Article was about the Montenegrin Prince (later King) Nikola I, as a honorary chief of the Imperial Russian 15th Riffle Regiment. These pogoni are in the Museum in Cetinje (ancient capital of Montenegro). 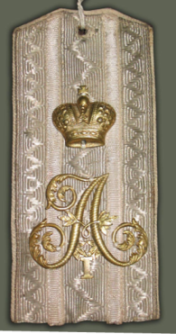 The Gussarsky Belorussky Regiment board looks to be made in very high quality, when compared with the others here. Was that an elite unit? 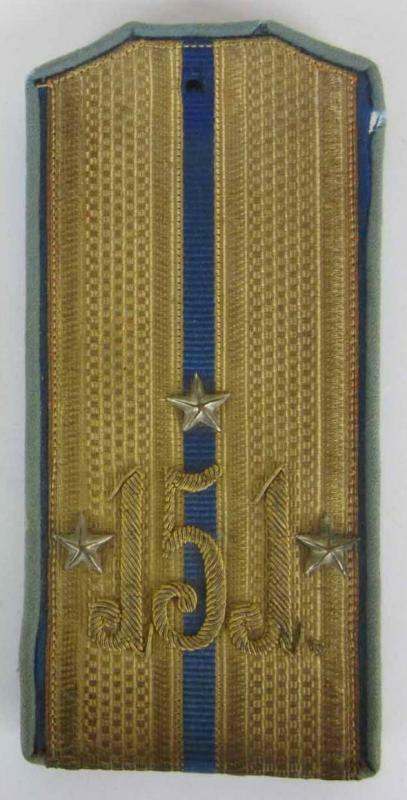 I dont see any stars or pips.... how can you tell the rank? 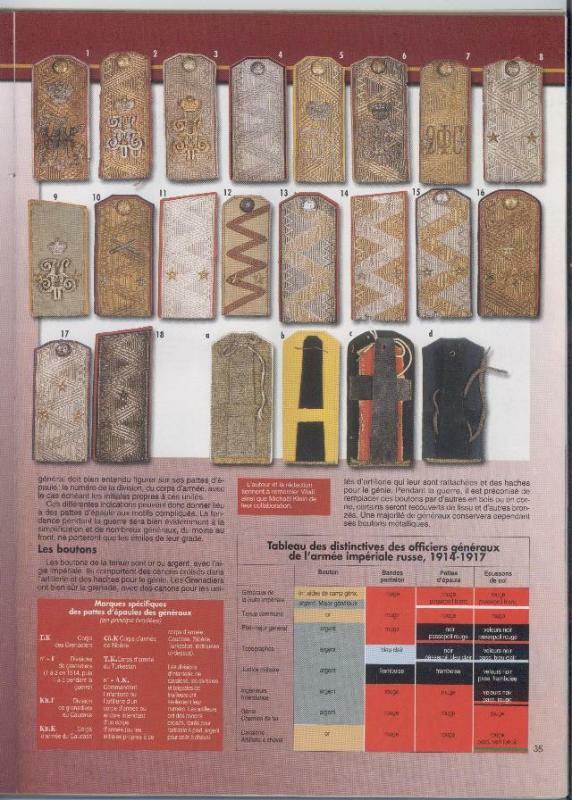 You should look into the shoulder board chart from the Mollo book that Claudius has posted. 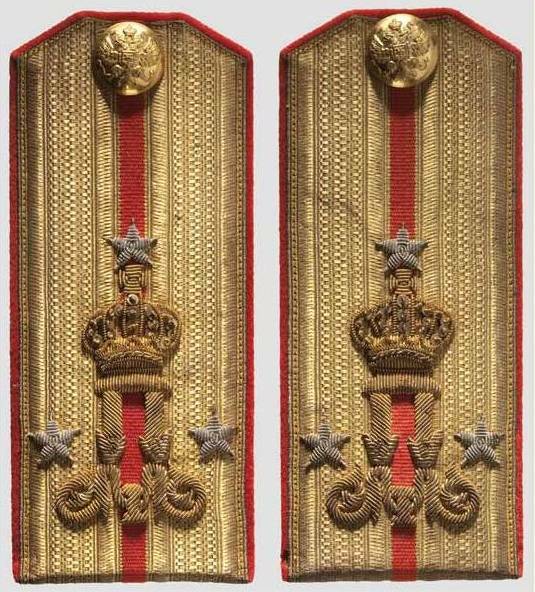 It is principle that highest ranks of each category (subalterns, staff officers, generals) has no pips (stars), like Captain (Cornet), Colonel and General (Polni General). If you watch carefully, on this page you have two more colonels, of Engineers and 17th Dragoons, same principle. 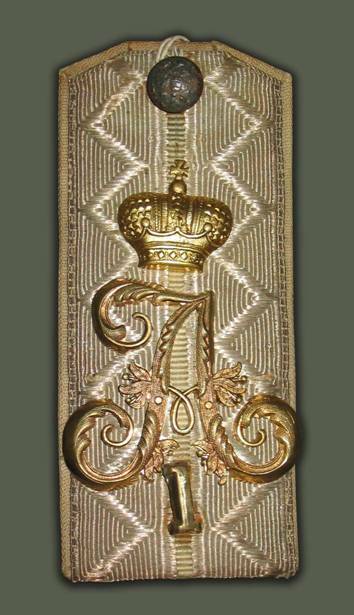 Otherwise, if any was considered as elite unit, those were the LG Hussars, with zig-zag pattern lace and embroidered cipher. Shown above one from my collection. Here is another one, this time Cornet of Belorussky Hussars (equivalent to Captain in infantry). Hussars always had zig-zag pattern lace. 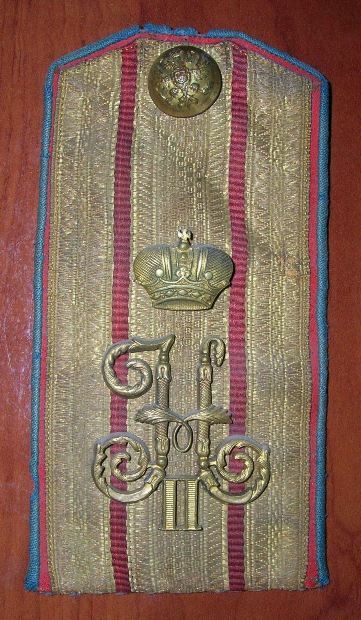 This one is also from Belgrade military museum. 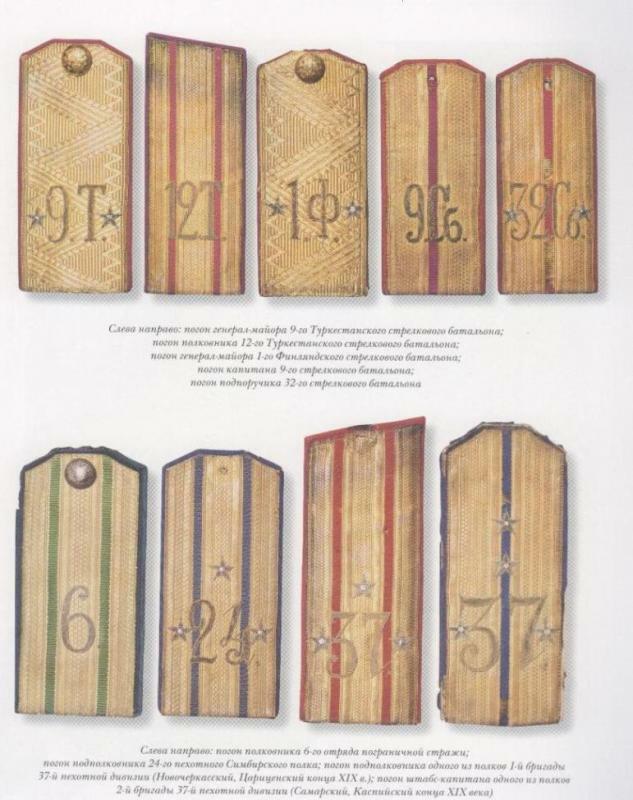 From the Russian book "Five Centuries of the Russian Military Uniform"
These boards are beautiful. Such craftsmanship. 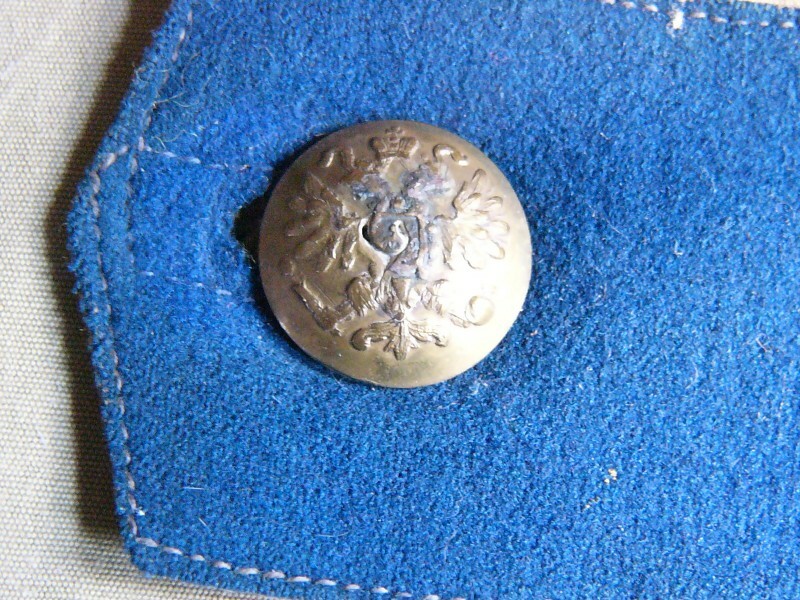 Captain of the armored car units, scarce speciality badge, though bad condition of the pogon, most probably from the civil war as it was acquired in Belgrade (where lot of White Russians came in 1921-22). That is great insignia they used for armored car units. Very unique looking. It’s a great example for that reason alone. As you said, the overall condition is lamentable and it looks like there was a device (or two?) above the armored car unit device that is missing.